There’s a long debate about macronutrients (protein, carbs, and fat) and blood sugar, but there’s a lot less information out there about micronutrients (vitamins and minerals). Here’s a look at four minerals that are important for blood sugar control, plus some ideas for getting them from delicious, nutrient-dense Paleo recipes. Blood sugar: the amount of sugar (glucose) that’s in your blood. It’s fine and normal for blood sugar to go up after a meal, but then it needs to go back down again. Too much glucose hanging out in your bloodstream for a long time is very dangerous. Insulin: the hormone responsible for clearing sugar (glucose) from the bloodstream. Insulin resistance: when insulin says “please take this glucose out of the bloodstream and put it in a fat/muscle cell” but your body doesn’t “listen” to the insulin and blood sugar stays high. This is very bad news. Type 2 Diabetes: People with type 2 diabetes have chronic insulin resistance, so they have high blood sugar a lot of the time. (Type 1 diabetes is an autoimmune disease and a totally different animal – here, “diabetes” means type 2). There are reams and reams of studies on diabetes because it’s officially a “disease” so it gets a lot of attention. “Problems managing blood sugar” isn’t officially a “disease” until it gets to a particular cut-off, so it doesn’t get as much attention. But type 2 diabetes doesn’t come from nowhere. It starts with problems managing blood sugar that steadily get worse over time. Diabetes is the extreme end of the spectrum, not some new and totally unrelated issue. All of this is to say: there are a lot of studies in this post on diabetes and people with diabetes. But they’re still relevant to people who don’t technically have “diabetes” but still have blood sugar issues (or want to avoid them). And now, for the minerals! Chromium is good for blood sugar control because it helps regulate insulin. Patients with diabetes have lower blood levels of chromium than healthy controls. There’s also some evidence that chromium is helpful for treating diabetes. This study found that supplementation with a chromium-enriched yeast improved some measures of blood sugar control in people with Type 2 Diabetes. Interestingly, in some cases it didn’t so much cause improvements as stop things from getting worse. For example, the control group (no chromium) had steadily decreasing markers of antioxidant activity, while the chromium group didn’t see much of a change. But hey, “preventing more problems” is also a benefit. Another study looked at chromium for steroid-induced diabetes. Steroids can cause diabetes in some patients, basically because they ramp stress hormone production way up (stress: really, really, no-kidding really bad for you). But this study found that steroid-induced diabetes could be treated with supplemental chromium. For the non-diabetics in the audience, this study in people without diabetes found that chromium-deficient diets made blood sugar control worse, which the researchers could reverse by adding chromium supplements. Foods to eat: The chromium content of foods varies depending on the soil that they were grown in. 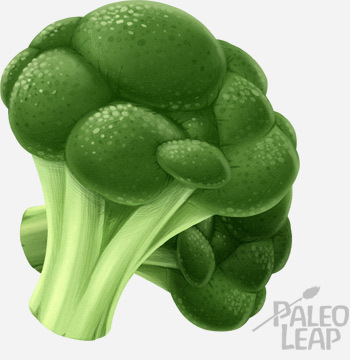 But even considering the inevitable variation, broccoli is probably a good bet. So are potatoes, garlic, beef, and turkey. Eat chromium-rich foods with Vitamin C for better absorption. Zinc is another important mineral for blood sugar control. It’s an antioxidant and it’s also important for insulin management. Patients with diabetes have lower levels of zinc in their blood, and zinc supplementation helps to improve their HbA1c (a measure of long-term blood sugar control). This study and this one also found that zinc levels were significantly lower in patients with Type 2 Diabetes. This study also found that zinc improved blood sugar control in obese children without diabetes. So again, it looks like there may be benefits for people who don’t technically have diabetes as well as people who do. Foods to eat: Oysters are by far the best source. Beef is also pretty good. Selenium is pretty excellent for gut and thyroid health, but it’s also great for blood sugar control. This might be thanks to its general antioxidant properties, but this study also found that selenium altered the expression of a bunch of different genes involved in blood sugar regulation. Just like the other minerals on this list, selenium is lower in people with consistently high blood sugar, even if they don’t have diabetes. As for intervention studies: in patients with diabetes, this study found that selenium supplements helped improve blood sugar control and insulin levels. There’s also some evidence that selenium is useful as an addition to insulin therapy for diabetes. In this study, rats got either standard insulin therapy or insulin + selenium. The selenium treatment was much better at lowering blood sugar and restoring normal glucose metabolism than the insulin alone. On the other hand, some studies also suggest that high-dose selenium supplements can be dangerous for people who already get enough selenium. If you insist on going the supplement route instead of eating whole foods, maybe get a blood test from your doctor first to see where you are. Foods to eat: Brazil nuts are famous as the best source of selenium. But they have a very distinctive taste that not everybody is a fan of. You could also try just about any seafood (especially salmon), shiitake mushrooms, or asparagus. Magnesium is a Jack of all trades. People who tend towards constipation might know it as the miracle supplement that makes bowel movements easier (it draws water into the intestine, which can loosen up stool if it’s hard or compacted). People who tend towards anxiety might know it as a calm-down supplement. Well, time to add another trick to the magnesium roster: insulin regulation. Insulin and magnesium are kind of a two-way street. As this study explains, low levels of magnesium might contribute to insulin resistance, and then insulin resistance might turn right back around to reduce magnesium levels. In patients with type 2 diabetes, this study found that magnesium supplements significantly reduced insulin resistance and improved blood sugar control. And even better, here’s one on non-diabetic subjects with insulin resistance and low magnesium levels. This study showed a benefit for magnesium as well, even in the non-diabetic crowd. 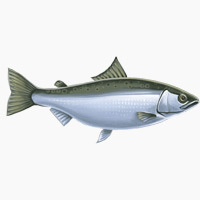 Foods to eat: Almonds, most other types of nuts, spinach, avocado, bananas, salmon, most other types of fish. 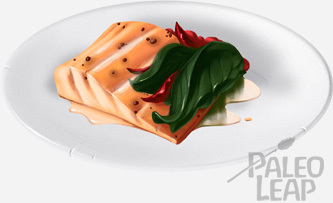 Salmon with spinach: a magnesium double-header. There are lots of other foods high in magnesium as well. There’s no such thing as the miracle nutrient that cures diabetes. But there’s pretty solid evidence that chromium, zinc, selenium, and magnesium are all important for healthy blood sugar regulation. If you’re worried about your blood sugar, it might be worthwhile to make sure you’re getting enough of these nutrients in your diet. This isn’t a call to go out and buy four more supplements. For one thing, that’s expensive – and remember from above that over-supplementing can also be dangerous. For most people, eating nutrient-dense whole foods is enough to meet their dietary needs. That’s why there are food recommendations at the bottom of each nutrient. Use them! Go make something tasty and good for you. Paleo is about eating good food first, and then supplementing only as necessary.